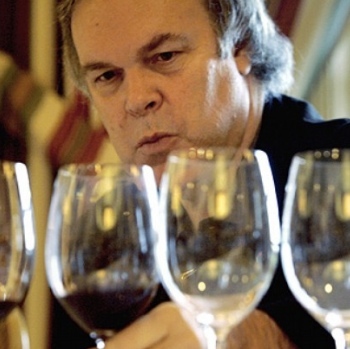 Wine critic Robert Parker’s scores for the 2013 Bordeaux vintage will help support the whites’ claim to greatness but could undermine some of the reds. This is the first time since 2003 that Parker did not release his provisional scores in advance of the en primeur campaign and only the second time in over 30 years that he elected not to do so as he was on a tour of Asia. The 2013 vintage was tough and although the tastings in early spring did bring forth more positive comments about the quality of the wines, fears persisted about the pricing – fears which often proved justified and the campaign was one of the most disastrous of recent years – as was extensively covered by the drinks business in the spring. Parker’s overview of the vintage and the en primeurs on his site is both understanding of the difficulties faced by the Bordelais, while pointing out that very little of the region’s production is as over-priced as sometimes thought and yet also critical of the way the futures campaign was handled. The points saw the Right Banks dominate the best scores, Ausone was rated the top on 93-95 points and small Saint Emilion and Pomerol estates like La dominique, Gracia and la Fleur de Bouard after that on 92-94 points. Troplong-Mondot, Pavie, La Mondotte and l’Eglise Clinet were also highly rated in the 92-94 point bracket. Calon Ségur was the highest-ranked Left Bank on 92-94, the next highest being Pichon-Baron, Haut Bailly and Mouton Rothschild on 91-93 points apiece. For the rest of the first growths it was a mixed bag, largely reflecting the thinking among merchants that it was the most disappointing year for the top five since 2007. Haut-Brion got a respectable 90-92, Latour which has of course withdrawn from en primeur anyway received 88-90, Margaux struggled (it was rated one of the most disappointing wines of the vintage) on 88-90, while Lafite slumped to a fairly dismal 87-89 which has to be one of its lowest Parker scores – indeed Parker said it was possibly the lowest-rated Lafite in 20 years and while he admitted it was well made he called it “uninspiring” and a “major underachiever”. Elsewhere, Pétrus got 90-93, Cheval Blanc (which dropped its price to 2008 levels) 89-91, Pichon-Comtesse 87-89, Palmer 87-88 and Pontet-Canet, which really did jump the gun on its release date, got 90-92. For the whites, meanwhile, it was far more positive news, Parker calling them “far superior to the reds”, with lots of perfume, “abundant” fruit and high acids. A “stunning” De Fieuzal led the pack on 94-96 points, followed by the whites from Pape Clement and Haut-Brion and La Mission and Smith Haut-Lafitte’s whites on 93-95 points. Neal Martin scored the Sauternes and the disparity between the whites and reds opens up further with his scores. Doisy Daene’s L’Extravagant came top with a score of 96-98, followed by Yquem on 95-97, Rieussec and Climens on 94-96 and Coutet, Doisy Daene and De Suduiraut on 93-95. What the effect of these scores will be is unclear. Although the absence if his scores did not stop the en primeurs this year and the likes of Pontet-Canet releasing before the tastings had even begun perhaps shows that there are some estates who no longer wish to follow what he or any other critic has to say. Nonethless, Parker still has the power to make or break wines in some markets and there may be some buyers even some merchants now scanning over the scores to see if there’s something worth picking up – could the whites, both dry and sweet, finally command a bit more attention?